Jungle Red is getting to have your favorite authors as guests. Lisa Black is one of mine. She's also an author you can depend on to get things right in her series about forensic scientist Theresa Maclean--Lisa is a forensic scientist, and swears she spent the happiest five years of her life in a morgue, working for the Cleveland coroner's office. 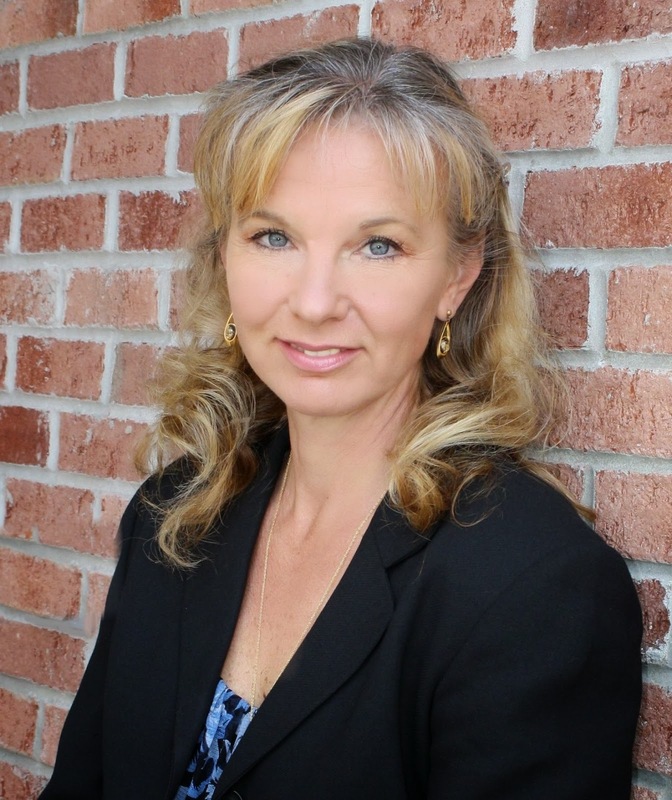 Although she sets her novels in Cleveland, Lisa is now a latent print examiner and CSI in Florida for the Cape Coral Police Department. The Price of Innocence begins with Theresa and Frank (Theresa's cop cousin) caught in an explosion possibly aimed at a local inventor/entrepreneur, the northeast version of Bill Gates. Ignoring her bruises and forced to relinquish the investigation to the feds, Theresa tries to dive back into normalcy at work only to have a cop assassinated nearly at her feet. These two apparently unrelated cases begin to move closer and closer together as Theresa encounters the unpredictable world of methamphetamine production, an attractive and mysterious man, a circle of new money and power and a conspiracy of silence going back twenty years—the reach of which she could never have imagined. Publisher’s Weekly said: "With only her gut to go on, she—and the reader—scud through a series of devilishly clever blind alleys and red herrings." Booklist reported: "Quick pacing, a keep-’em-guessing plot, plenty of dark humor, and a spunky, outspoken, whip-smart heroine make this a must-read for fans of Cornwall and Grafton." Kirkus wrote, "Once again, Black constructs a puzzle that weaves olds crimes with new, always leaving room for one more twist." Fabulous, right? How could anyone not love this book? I certainly did! But here's what happened to Lisa. there, I hope it wasn’t just me--when, after we’ve spent five or six or nine months writing a book, and our critique partners like it, and our family and friends love it, and we send it to our agent waiting to hear how much she loves it too… she hates it. Not just “this character doesn’t seem realistic” or “this part of the story drags” or “this subplot isn’t sufficiently compelling” (how I’ve grown to hate that word!). No, flat-out, unequivocal, don’t-even-bother -rewriting-this. Throw it out and start over. Nearly a year of your life, tossed aside in one delicately worded phone call or, worse, e-mail. And so it should not be surprising that while my first (brilliant) agent caused me to throw The Price of Innocence into a drawer, my second (equally brilliant) agent encouraged me to bring it out again when new publisher Severn was already asking for a follow-up before Blunt Impact even hit the stands. She tried it and, lo and behold, she liked it. Joy. Not because the months I spent writing it would not have been in vain (though that is a huge consideration--life is short after all) but because she confirmed for me that I am not crazy. The Price of Innocence is perhaps the most freeform of my poetry, the most boldly colored of my artwork. I let my character go out on limbs I couldn’t have stomached ten years ago. This book is like your smallest child, the one whose quirks and inconsistencies mean he will never play on the football team or be elected to office but who throws himself at every situation with such boundless enthusiasm that even while bandaging his knee for the forty-leventh time, you love him most of all. Point being, though we all know how people’s opinions can vary, it still comes as a shock when books we love aren’t unequivocally loved by others. Why is that? DEBS: I keep thinking about JK Rowling, and all the agents and editors who hated Harry Potter and the Sorcerer's Stone... Do they still wonder how they could have made such a mistake? What about you, fellow REDS, have you had an experience like Lisa's? And readers, have you loved a book and had a trusted reading friend hate it? How do you deal with that? Usually, I’m not too far out of sync with my book-sharing friends, but once or twice it’s happened that I’ve disliked a book so much that I’ve not even finished reading it and they’ve said to me, “It’s not that bad.” The strange thing is, even when I go back to try and give the book one more chance, I find I still don’t like it and I still don’t finish it. But it’s never been a big deal, we still share books and opinions, and I figure everyone’s entitled to their own view of things , , , . 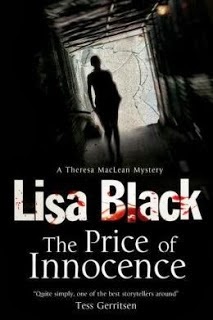 As for Lisa, I have to say the book sounds quite intriguing, and I’m looking forward to reading “The Price of Innocence” . . . . Anxious to try Lisa's work. Has to be authentic. I am still surprised over how many people dislike GONE GIRL -- or couldn't read more than a dozen pages like my wife. Lisa's Lesson: Sometimes getting a new agent is better than a rewrite. This is one of the tough realities of the business. These brilliant agents and editors often are right; but they're also sometimes wrong. Dead wrong. At least now they are not the ultimate gatekeepers that they used to be. And oh, don't I hate it when I entrust a beloved book to a friend who reads it and is unimpressed. Yes yes I've experienced something similar several times...in fact this is inspiring me to go back and look at what's in my drawer. Many of my friends read my blog and on a few occasions, they are written to me or stopped me at a party to say they really didn't enjoy a book I covered on the blog. Since I only review books that I love, this means that they did not like something that I enjoyed and wanted to encourage others to read. But interesting, in most of these cases, if the person had "asked" me for a book recommendation, I would not have chosen the book they picked. Books are like people, they each have a personality and sometimes you can just tell that there will be a clash. Or at least I can. The good news is that clearly my review was interesting enough to make them want to pick up that book, so for that I am grateful. This is why I take all contest results for "best" anything with a huge helping of salt. First, how is it possible that the judges have read every potential entrant for that year, and second, their judgment is colored by their personal tastes and prejudices, all of which differ from my own. And I don't know exactly how they differ, to make my own judgment of the situation. For instance, I don't care at all for most of Hemingway's work, and think much of it is highly overrated. He's lauded for his "spare" writing style, but I can't help wanting to edit out all the references to drinking--which would pretty much pare that spare style down to skeletal, in most of his books. To each her own. It's just too bad that some really good books have gotten shelved because of a single agent's or editor's opinion, while books like 50 Shades of Grey are wasting millions of trees. Dear Lisa, I had the same experience with Mr. Churchill's Secretary! A new agent really did change things…. LOVED Gone Girl…. Now my mother-in-law (who have our own "reading club") are looking forward to The Price of Innocence. We tend to have the same taste in mysteries, although we diverge on other genres. The other day she tried to read my copy of The Hunger Games to "see what all the fuss is about." She didn't like it, but her tactful answer was "It's just not my kind of book." Good luck with The Price of Innocence -- great title! Lisa, if you wrote The Price of Innocence before Blunt Impact, did you have to change much to make the book fit in the series sequence? How hard was that? Karen, I so agree with you about "best" lists. I rarely use them as a reading resource. I usually end up wondering why they didn't include an obviously great book I've read or questioning what went through their minds when choosing what they did. It's always a shock to my system when I am absolutely gaga over a book and it receives a lukewarm response (or worse, an outright rejection) from a reading friend. Right now I'm reading a book that I'm finding engaging and well-written, and one of my most like-minded reading buddies flat out didn't like it. How could that be? And, of course, there are those favorite books that you just know are going to elicit a standing ovation from your friends or family, and you are quite heartbroken when anything less than a ticker-tape parade is the response. How could something that touches your soul so deeply not touch the souls of those closest to you? Gone Girl. Well, I'm not its biggest fan, but I did finish it, and I do appreciate it as an intriguing read. I just find it hard to completely embrace a novel in which there are no characters I like or in whom I detect any redeeming qualities. I can't begin to imagine how it must feel to have written something, pouring yourself into it, and someone rejects it as unworthy of passing on to others. Writers are certainly made of sterner stuff than I. Thanks again for letting me guest here. I really appreciate all the comments! Or, Karen, chocolate and coconut together--what's not to love? My debut is coming out in March, and, man, yeah, I felt your pain while I was querying. From agents who obviously thought the story or my writing sucked, to the one who said, I'd like to represent you. It's nutty. I have a dear writer friend who detests a bestselling mystery author whose books I adore. This author has one quirk: changing POVs mid-scene, sometimes many times. My friend can't forgive the author this quirk. I'm thinking, for that, you hate her? Okaaaay. I must be the only person who hasn't read Gone Girl...but it is on my TBR shelf. When Gilead came out a number of years ago, I knew the day I finished it that it would win the Pulitzer, and I recommended it to everyone I knew. I was surprised that several of my very bookish friends didn't love it as I did. So much so that I am, as a result, less likely to recommend books than I used to be. Even more vexing than the fact that I didn't like (for example) GONE GIRL at all, and a good friend and one of those whose literary tastes I respect most thought it was great, is the erratic nature of self-assesment. After some time away from something I've written I will look at it and think it's the worst thing ever written by anyone. Then, a few weeks removed, I can look at the same passage and think, "This is isn't that bad. It's almost sort of good." (Which is the most enthusiastic praise I'm ever able to garner from myself). What I'm fairly sure of is that objective evaluation of one's own work--bad or good--is damn near impossible. David, that's the hardest thing! It's also what makes rewriting and revising so awful, because I never know if I'm making something better or worse! I stopped recommended A.S. Byatt's Possession--one of my favorite books ever--after about the tenth person said, "You actually read that??" I recommended one of my favorite mystery authors to a neighbor who loves mysteries. The books are very, very funny, and it's obvious the author has a great sense of humor. The first time I read a book by that author I laughed so hard I nearly fell off the chair! I've now read everything by that author, and continue to laugh until I'm almost breathless. My neighbor doesn't like any of that author's books, and thinks they are "very dry and boring." Lisa--running in, panting, late-- so terrific to see you! And this is a marvelous and inspirational story..though I 'm sure it didn't seem like it was going to develop that way at the outset. What's so instructive, to me at least-this kind of realization also makes it a bit easier to take the inevitable bad reviews...right? Because people just like different things--it's not that the book is BAD. Its that someone just doesn't like it. (I mean--look at all the one-stars for Gone Girl!) (Which I pretty much loved--and my husband loathed.) So I take some heart from that. I am sorry I missed this yesterday. Terrific interview. I hardly ever give books to anyone except the friends I know best. Despite knowing that everybody is different, I still feel my sensibilities are in question if the dear friend thinks my fabulous book is a looser. That's probably why my best friend and I hung onto each other over the years and every distance imaginable when we gave each other books and we jumped up-and-down loved them. We were meant to be friends. She introduced me to foodie and kitty books. I introduced her to mysteries. This is nice to see out in the open. But it really just makes sense. Reading is so subjective. Great post and I look forward to reading Lisa Black.